For 31 years, we have watched our campers’ lives change as some of them have turned their favorite Island Lake activities into their passions. We love hearing from former campers and staff to find out what they are up to today. Emily Scherb was a camper and then a counselor with us in the 90’s during our early years. 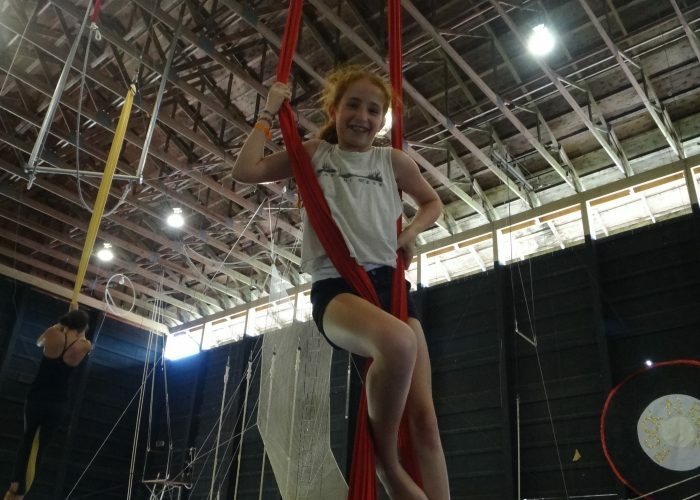 She developed her love for circus and more specifically, the flying trapeze, during her summers at ILC. Read her amazing experience below. As a young child I was always an athlete. I have also always been easily struck with motion sickness, and I have an aversion to risk. 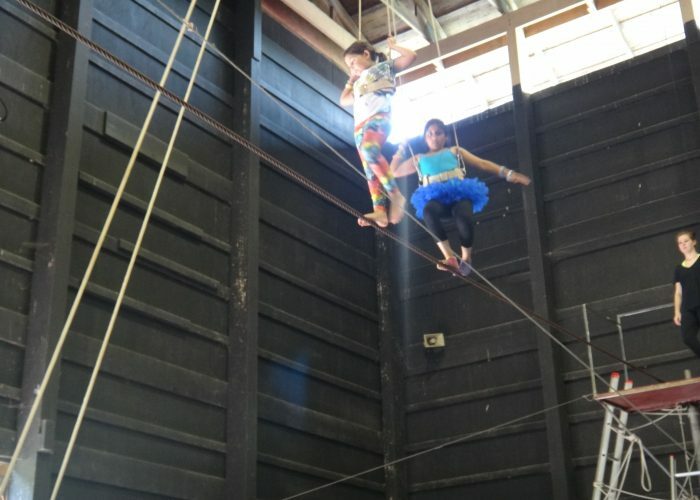 So, how did I end up on the flying trapeze at Island Lake Camp? It’s simple, a little coaxing (some might say peer pressure), fun, and a sense of adventure. As a gymnast, I wandered over to the circus area (there was no building yet!) and happily hopped on the mini tramp. 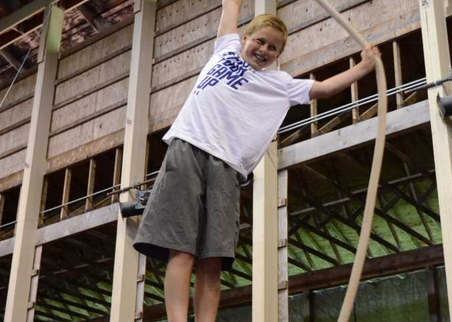 With slight trepidation, I followed a friend from mini tramp to sign up for static trapeze. It was hard, it was fun, and I found I was good at it. There is nothing more appealing than finding something that seems to fit how you want to move and the types of challenges you enjoy. 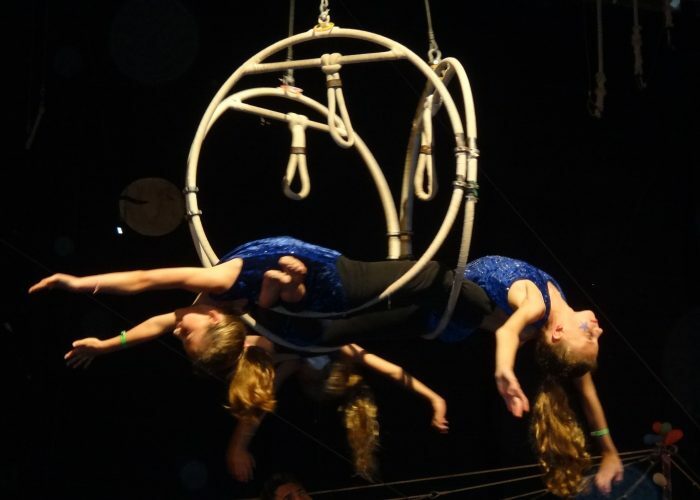 Static trapeze was my gateway to circus. I would take any aerial elective that was offered. I spent that summer showing my circus bruises proudly to my bunk-mates as I acquired the new skills to match them. The next summer when I returned, I would do anything up in the air. I’d hang from anything and even would have anyone hang from me. I would do it all, except flying trapeze. I knew my history of motion sickness, and swinging back and forth in a large pendulous arc looking like the worst thing I could imagine. But, I was twelve. All my cool circus friends were doing it. The super cool counselors were doing it. I wanted to do it too, and one day I did. I was standing on the platform, determined with my right hand grasping the bar. I was scared, but was going to do it. I could feel the board shaking and turned to blame Nate, whose normally jocular behavior could be the cause of the quake. But, he had turned calm and patient gently letting me know that unbeknownst to me, the whole left side of my body was shaking. Once I realized it was me, I was able to put that second hand on the bar and hop off. My stomach dropped as I swung back and forth, but I went back up. I continued to go back up all throughout the session. The stomach drop feeling slowly subsided as the skills and tricks started to add up. All of a sudden I could add height to my swing, I could flip in mid air, and I could get caught by a catcher. I was blissfully in love with circus; the sense of achievement as I gained strength and unique talents lit up my summer. With the encouragement from my counselors, I returned summer after summer, soon becoming a staff member myself around the time the circus building went up. Being able to share the knowledge I had gained helped fuel my own desire for more knowledge and training. When I finished high school, I moved out to Portland Oregon and joined Pendulum Dance Theater and interned with Do Jump! Extremely Physical Theater. There I learned how to be a professional performer and to translate my tricks and skills into art. My time there was filled with growth, as it was my first time truly living away from home, other than my times at ILC, but eventually it was time to return to school. 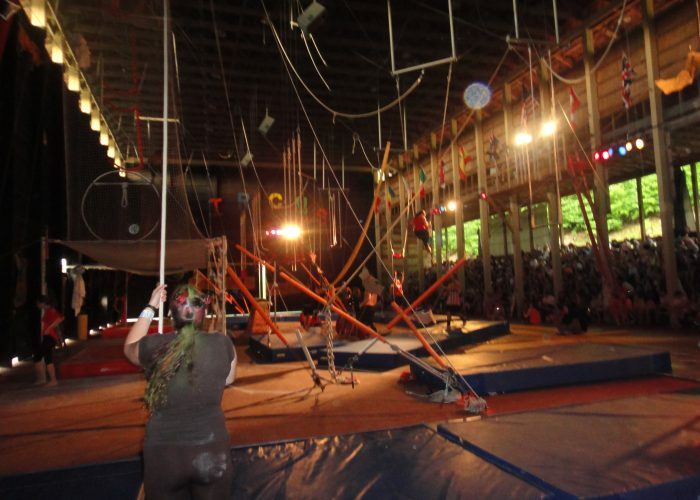 While in college, I remained involved in circus through Circus Harmony, an urban youth circus in St. Louis, MO. I was generously taken on as an instructor of amazing children who performed multiple times a week. Through teaching those talented and dedicated kids, I further honed my teaching skills learned as a counselor at Island Lake. After college, I still couldn’t let go of my circus dreams and ran back to New York to teach circus and join a dance company. 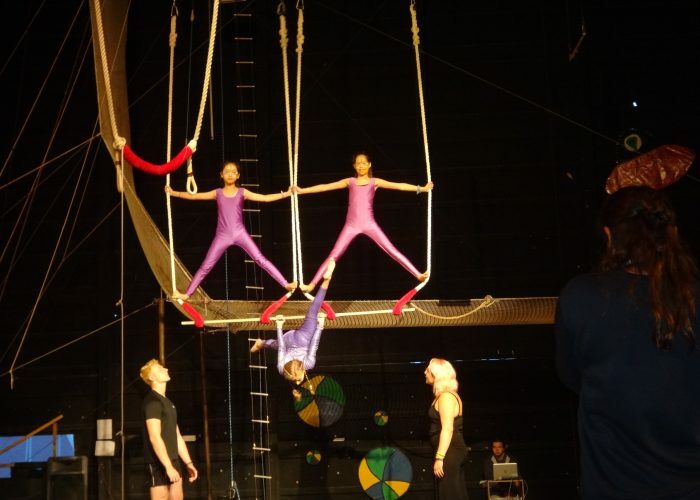 While teaching flying trapeze at Trapeze School New York and the Espana Streb Trapeze Academy, I saw circus explode into the public awareness. All of a sudden, circus was something you could take classes in while still having a ‘normal life’. People were amazing to see friends and family up in the air, and I adored helping them get there. 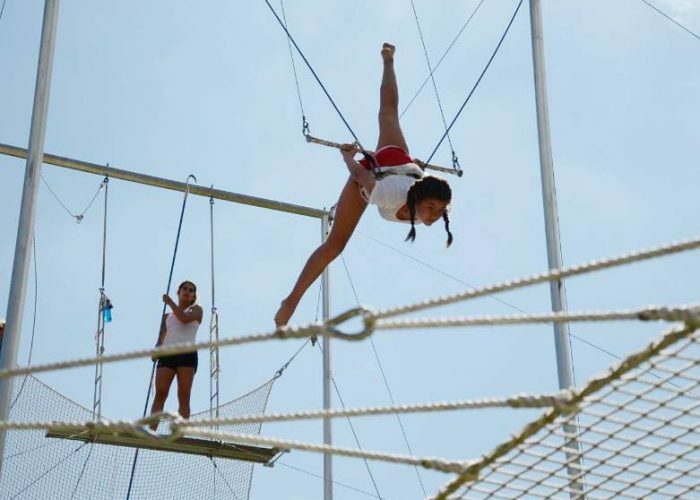 Having excited new students always reminded me how much I enjoyed getting to work on the trapeze everyday. 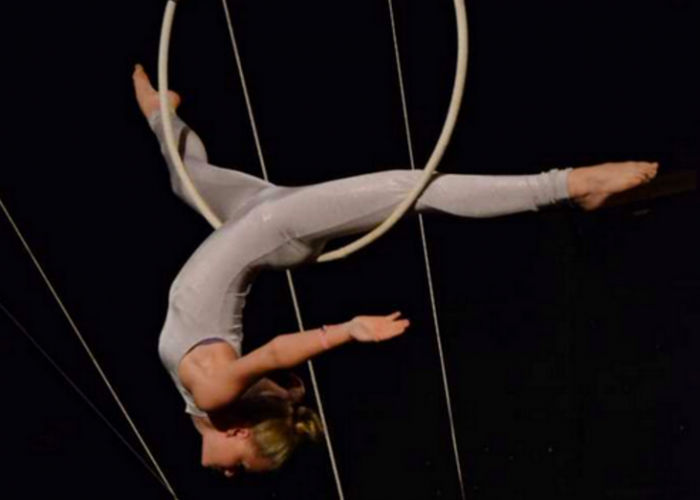 Through circus, I learned to move my body, and how to communicate to others how to move theirs. As a performer an instructor, I learned to observe movement, to deal with challenges, to understand discomfort, and to give and receive feedback in a constructive way. Eventually, I decided to go back to school to put some of my skills to use in a novel way as a Doctor of Physical Therapy. With all of the knowledge I gained through circus, I believe I am a better practitioner, better able to understand my patient’s challenges, to understand their movement, and to educate them in how to move better. 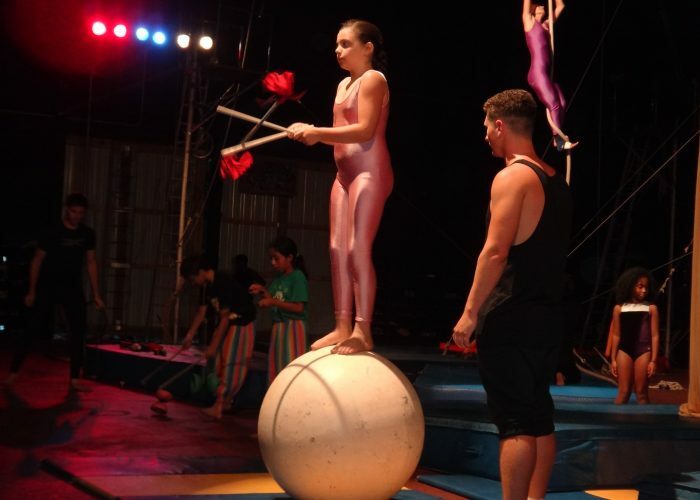 Currently, I have my own physical therapy practice in Seattle, WA where I specialize in the treatment and education of circus students, instructors, and professionals. I lecture at circus schools, teaching injury prevention and functional anatomy. 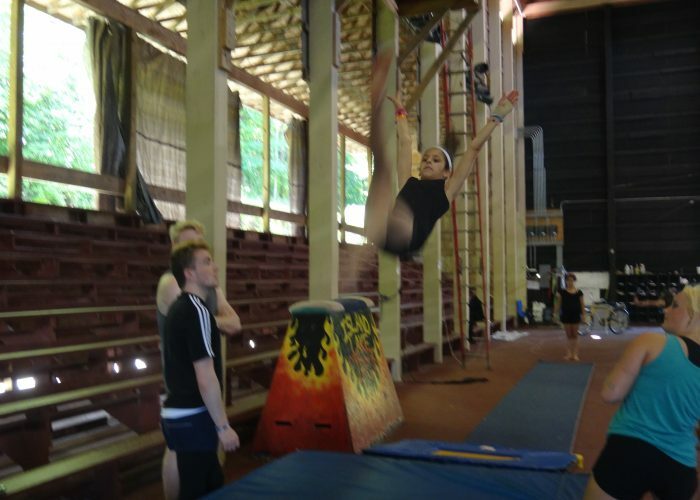 I also still teach flying trapeze and try to train whenever I can. 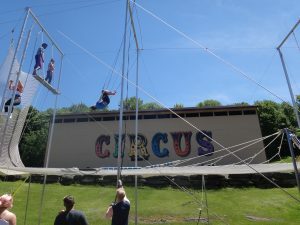 Throughout my journey, from my first bounce on mini-tramp at Island Lake, circus has been a driving part of my life that I will never leave behind. Do you have a story about how Island Lake has influenced you or your child? If so, we’d love to hear from you. Please submit a blog (approximately 3-5 paragraphs) to wendy@islandlake.com and be featured on our blog.